Toddlers are little enigmas. These gorgeous little people are starting to assert their independence in every aspect of their lives – including what they eat. While they’ll happily try and snack on an unidentifiable object they find stuffed in between the couch cushions – they’ll cry blue murder at the tiniest hint of broccoli on their plate. It can be difficult to know just what your toddler should be eating and if they’re eating enough. Here’s a little guide to give you a helping hand. When dealing with toddlers and food, the experts say we should be looking at what they eat over the entire week, rather than in one day. What you’re aiming for is a balanced diet, with bits and pieces from each of the food groups, with you choosing the food, and the toddler deciding when they’re full and have eaten enough. One serve of lean meat, poultry, fish, eggs – about 65g. This could also be in the form of two large eggs or one cup of baked beans. Half a serve of fruit – about one medium apple (150g) or two small pieces of fruit such as apricot or plum. This could also be one cup of canned fruit. One and a half serves of dairy – about 250ml of milk, 40g hard cheese or a 200g tub of yoghurt. A minimum of four small glasses of water. This is will depend on how active your child is. Two to three serves of vegetables – a single serve is about 75g. That’s half a cup of cooked vegetables or a cup of salad. Four serves of grain (cereal) foods – a single serve is a slice of bread, or half a cup of cooked pasta or 30g of cereal. Oh no! My toddler won’t touch any of that! Sit and eat meals with your toddler – make a priority of eating together as a family whenever you can. Try new foods – offer choices between two foods you’re happy with, to create the illusion of choice. Plant a vegetable garden together and get involved in growing food. Take a trip to pick berries, or even just to the grocery store together. Let your child help with fruit and vegetable selection. Interact with food in fun and positive ways. Many toddlers can be talked into trying something new simply because you put a face on it. 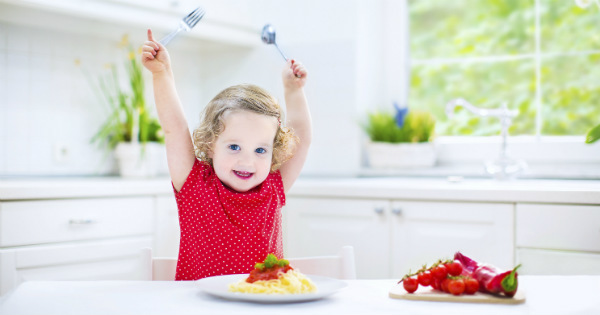 Get your toddler involved in meal preparation. Cook together (and not just cakes!). They can mix and pour and divide things into bowls, even when quite young. If this all seems a far cry from current life, don’t worry! Rather than trying to change everything at once, work on one new habit at a time, until it becomes routine. And remember, like most things – it’s what you do most of the time (not every now and then) that will set the tone. 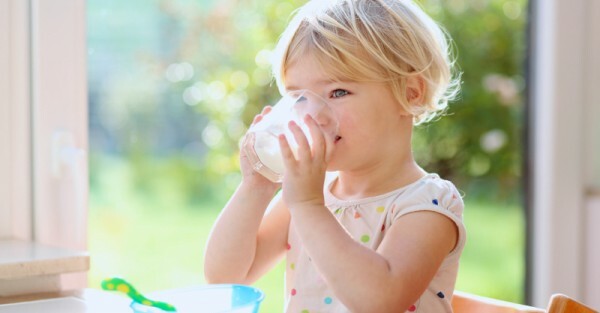 In addition to a healthy, balanced intake of food, toddlers need to be active – which usually isn’t difficult. They love using new-found skills like kicking a ball or catching. Try and aim for seven activity sessions per week – toddlers need to engage in at least three hours of movement each day. You can spread this out over the day – so perhaps a play in the park in the morning, some ball activities in the backyard after lunch, and then a bike ride before dinner.